Before signing an apartment lease, it's recommended to tour the property in person to ensure it meets all your criteria and lives up to your expectations. Though the complex's website may provide a lot of details and property photos, an in-person visit is the only way to really know if the apartment is right for you. Consider these tips to get the most out of the apartment tour. While a lot of apartment complexes do allow drop-in visits, it's best to schedule an appointment with the property manager in advance. This ensures someone will be available to show you the unit you will be renting, as well as any communal spaces, such as a clubhouse or fitness center, that are closed to non-residents. Your tour guide will also be able to share valuable information regarding the complex, as well as answer your important questions. When touring multiple apartments in Piscataway, NJ or Hamilton, it can be easy for them to start to blend together. Bring a camera and notepad with you to the showings so that you can record your thoughts about the unit and complex. Make note of things you like and don't like about the property and also record its amenities, features, and other vital details. How are emergency maintenance requests and repairs handled? Where do I park? Is there parking for my guests? How often do you increase your rental rates and by how much? Can I rent a garage or store space? If so, how much does it cost? What's the process for trash disposal and recycling? Are the appliances in the unit in good working condition? What's the anticipated move-in date for this unit? Do the communal areas, like the clubhouse or pool, have wireless internet? As you tour the property, take a moment to envision yourself living there. 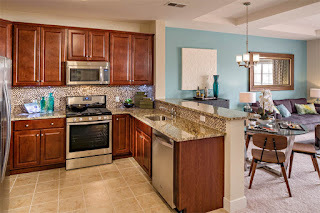 Can you see yourself cooking in the kitchen or entertaining guests? Does the unit look like it will fit your furniture and other belongings? Does it seem like a comfortable place where you'd like to live? If you don’t get a positive feeling from the apartment, then you can probably eliminate it from your list of options. The apartment tour is a crucial part of the search process. To make the most out of your next tour, follow our helpful tips. 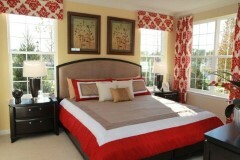 For luxury apartments in New Jersey, visit us online. Any real beach lover knows the Jersey Shore isn’t just for summer. The beach can be enjoyed year round. There's nothing quite like walking on a deserted beach in the off-season, just listening to the lapping waves and enjoying the fresh brisk air. If you want to move near the beach so you can enjoy its beauty and wonder all year long, then fall is the perfect time to do so. During fall, you can still experience the beautiful weather, but without the heavy traffic and crowds. Whether you're looking for apartments to rent in Neptune, NJ or Galloway, here's why you should move now. 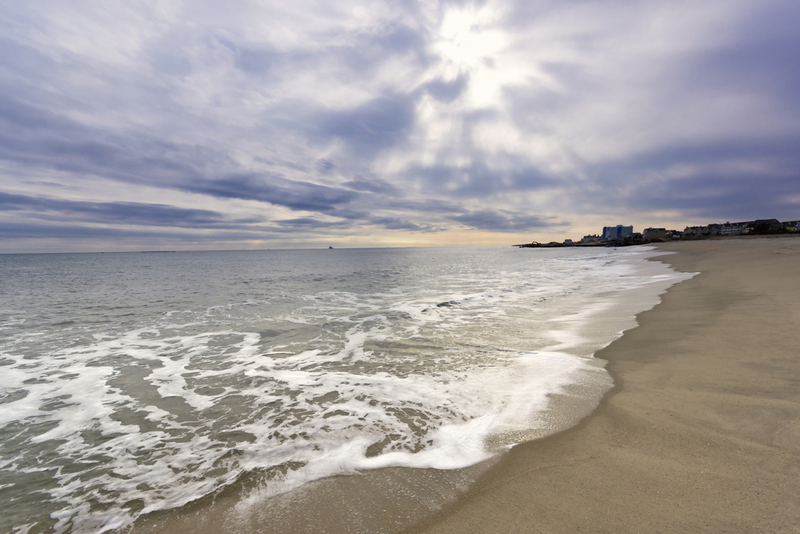 As summer is dubbed beach season, it is obvious moving once the crowds have left will save you time and stress. Heavy traffic is common during the busy season, but the streets are nearly empty in the fall. Arriving at your new apartment will be a breeze, and you can take advantage of the lack of tourists to explore your new city. In addition to lighter traffic, fewer people will make it easier to dine at the best restaurants and see the most popular sites. Upon your move, you can enjoy what brought you here in the first place… the beach! With tourist season over, you can spread out on the sand and take in the amazing view, without tons of beach chairs impeding your view. Your beach time won't be inhibited by hordes of people and loud conversations. You can unwind with a good book, enjoy a picnic, or watch the sunset in peace. If you've ever moved before, then you know moving all your furniture and belongings can be tiring and make you break a sweat. In the hot summer heat, moving a large sofa or queen size bed can be excruciating. The brisk weather makes moving heavy things more manageable. There's no better time than festival season to get acquainted with a new area. Fall festivals are filled with beloved fall activities like pumpkin carving, apple picking, and costume contests, plus great foods and brews, including your seasonal favorites. Be sure to check out the Fall Harvest Festival and Craft Show in Ocean Grove, which will feature more than 180 arts and crafts vendors, live music, sidewalk sales, pumpkin painting, and great food. Another popular fall event is The Glow: A Jack O' Lantern Experience at the Monmouth Park Racetrack, an enchanting quarter mile walk-through event featuring over 5,000 hand-carved illuminated Jack O' Lanterns displayed in elaborate detail. One of the biggest perks of townhome living is you that you can enjoy similar communal amenities you may have enjoyed in an apartment community. Many townhome complexes offer great shared amenities, such as fitness centers, clubhouses, media rooms, business centers, swimming pools, and recreational parks, which make it feel like you're living at a luxury resort. These amenities also create a sense of community. When you enjoy these perks, you are likely running into the same people and thus becoming better acquainted with your neighbors. Townhome owners have very few maintenance responsibilities, at least on the exterior of their homes. While you would need to patch holes in the wall from hanging picture frames or address plumbing issues, many townhome communities are responsible for maintenance items like lawn care, snow removal, cleaning the pool, and so on. Some communities even have a handyman that you can utilize should you need any in-home repairs. One reason people chose to move from an apartment into a home is because they need more space. 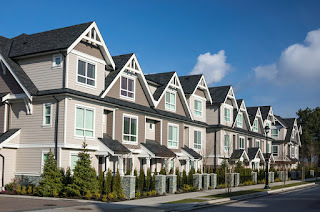 Townhomes generally provide occupants with more living and storage space. They typically offer more square footage than an apartment, plus your own personal plot of land. Many of our townhome units have finished basements and garages, which can be used as extra storage and/or living spaces. 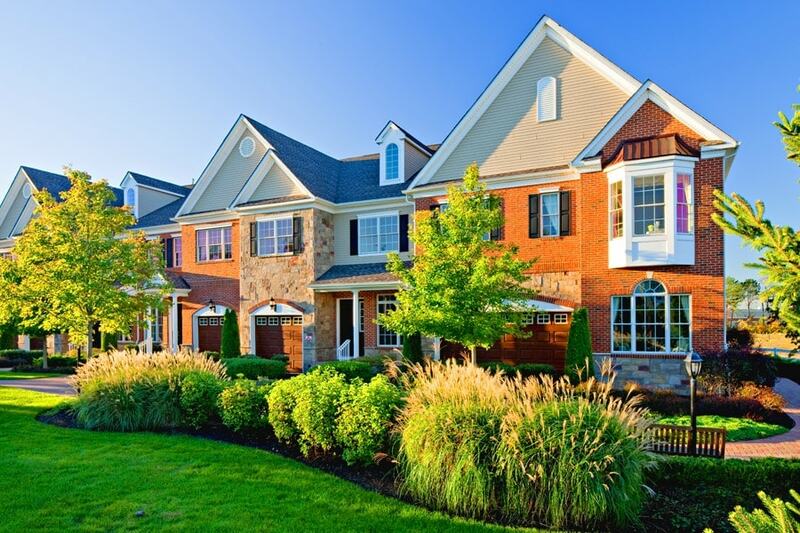 These are just a few of the countless reasons that many New Jersey residents prefer luxury townhomes in NJ. 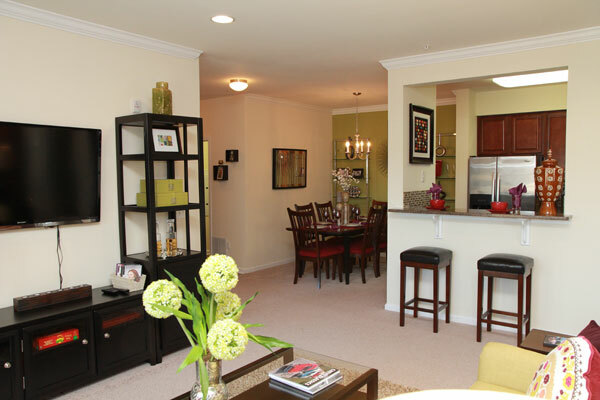 Visit us online to check out our available listings and find the perfect townhome for you. Apartment living is an ideal situation for many people. Maybe you are not in the financial position to buy a house, or you are unable to make the long-term commitment homeownership requires. No matter, renting an apartment in NJ offers many benefits that you can't experience when you own the property. Read on to discover the major advantages of apartment living. While renters are accountable for any damage done to their unit, they're not responsible for routine maintenance and upkeep. Whether your dishwasher breaks or the air conditioner needs a tune-up, your landlord handles all necessary repairs. You don’t have to worry about finding someone to do the repairs or paying for them. Buying a home is a big financial investment that requires a solid down payment, monthly mortgage payments, utility bills, and the cost of furnishing and maintaining the property. Renting is usually cheaper than a mortgage. The cost of utilities and furnishings are also cheaper since an apartment is a smaller space. And, because the landlord is responsible for maintenance and upkeep, you can save some money that aspect as well. When you buy a home, you’re in it for the long haul. To buy a house you need to plan to live there for at least a few years. An apartment provides a great solution for those who can't make such a long-term commitment. Perhaps you plan to move in the near future. While apartment leases generally last 12 months, some complexes also offer shorter leases to accommodate their residents. You may be able to get a three- or six-month lease for a slighter higher rental fee if necessary. There are tons of new apartments in NJ that offer the modern amenities you need to feel right at home. 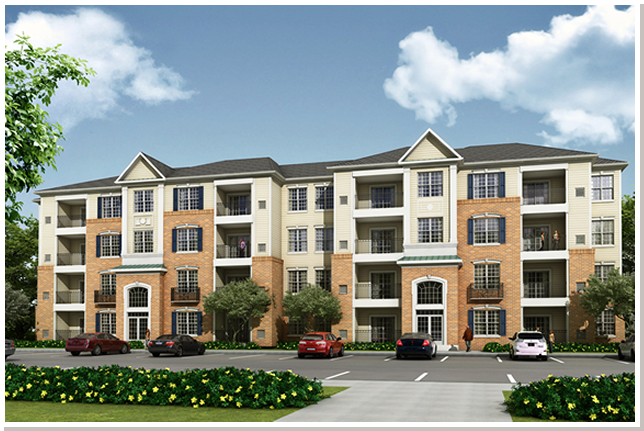 New apartments feature open concept layouts with deluxe kitchens, luxurious bathrooms, and walk-in closets. Apartment complexes also offer a variety of communal amenities, which can include such nice-to-have facilities as resort-style pools, club houses, and fitness centers. 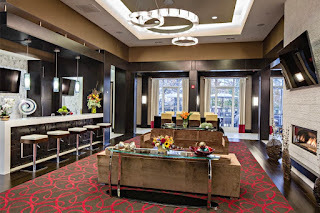 For instance, at The Crossings at Hamilton Station, which offers luxury apartments in Hamilton, NJ, you can enjoy all those great amenities, plus a game and media room/movie theater, business conference center, and a weekend continental breakfast. The community is within a short walking distance from the Hamilton train station, making commutes to New York City or Philadelphia a breeze. Apartment complexes invest in security measures to ensure the safety of their residents. New apartments in NJ typically require residents to use their key card to access the community's shared spaces, like the pool or clubhouse. Additionally, the close proximity of your neighbors creates an added sense of security. These are a few of the many benefits of apartment living. Visit us online today to browse our great selection of new apartments in NJ. Deciding what type of home you want to live in can be challenging, because you can't predict exactly how long you will live there and what changes you may need to accommodate the future. The conflict between what fits your budget and needs in the present, as well as what you will need in the future, adds some complexity to the decision. If you're torn between a single-family home and a townhome, it's a good idea to weigh the benefits of each. However, you'll often find that a townhome tends to come with more perks and advantages than the latter. Here are just a few of the great benefits that come with living in a townhome! One of the best advantages a townhome has over most traditional single-family homes is the number of amenities available in the community. Most townhome communities will provide residents with perks that can wind up saving you money in the long run. For instance, two communities in particular, The Crossings at Hamilton Station and Evergreen at Timber Glen, offer their residents access to resort-style swimming pools and state-of-the-art fitness centers, which saves money on gym memberships and swim club fees, while also providing residents with convenience because these perks are right in the neighborhood, a short walk from home. Additionally, townhome communities may feature access to other facilities like a clubhouse, a tennis court and even an on-site business center. Typically speaking, townhouses don't usually cost as much as single-family homes in the same area because of the shared foundation and walls. Also, a townhouse may provide you with lower heating and cooling bills because of their construction style. Additionally, townhome living provides residents less responsibility when it comes to property maintenance and landscaping. In many cases, the homeowners association will take care of mowing the grass, raking the leaves, shoveling the snow and other responsibilities that are normally responsibilities of single-family home owners. This saves you time and money because you won't need a lawn mower or other yard upkeep equipment, nor will you need to hire a service if you’re away from home when a storm hits and still required to keep sidewalks clear of snow and ice. Since townhomes may have neighbors on both sides of the home, it's more difficult for a trespasser or burglar to go unnoticed if they are trying to partake in suspicious activity. Many townhouse communities are developed and laid out in a way to give a greater sense of community to all the residents and the streets are well-lit to ensure unusual activity is readily noticeable. Speaking of the tight-knit, community-feel that's often attributed to the lifestyle of living in a townhome, the residents all follow a set of standards that govern the tranquility of the community. Residents agree to stay within the accordance of the community bylaws to keep many potential sources of argument or irritation more peaceful. For instance, the homeowner association will enforce community operations like trash removal and common area maintenance, and they also dictate other rules that ensure uniformity of the dwellings. With a townhome, there is less risk that your neighbors will have decorations or other elements on display that aren’t tasteful or that may interfere with your enjoyment of your own home. When you are looking for new townhomes in NJ, make sure you understand that you're choosing a lifestyle that's second to none! With reduced property responsibilities, lower costs and community perks, your decision to move just got a whole lot easier. The Crossings at Hamilton Station is a premier residential community that's filled with luxurious apartments and townhomes that'll give you the lifestyle you've always wanted. Whether you choose to purchase or rent, the townhomes and apartments in Hamilton, NJ are situated in a private resort-style community that offers the ultimate convenience in commuting as the high speed rail line at the Hamilton train station is just a short stroll away. This provides you with quick access to cities like Philadelphia, New York, Trenton and Princeton! The Crossings at Hamilton Station feature amenities that are second to none. Residents get to enjoy continental breakfast on the weekends, access to the state-of-the-art clubhouse that offers a swimming pool, 24-hour business conference room, 24-hour fitness center, a game and media room and so much more. On top of that, the entire community features professionally landscaped grounds, making it a serene park-like setting to relax and unwind. Whether you choose a luxury townhouse or apartment, you'll get everything you'd expect in a high-end home. Each floorplan is laid out in a spacious manner that provides you with ample room to entertain and relax after a long day. You'll appreciate the full-sized front loading washer and dryer as well as the independently controlled central air-conditioning system that will keep you cool and comfortable. At the same time, you'll conserve energy and reap the rewards every month on your utility bill as every home comes with an efficient and economical gas forced air heating system. Plus, all apartments and townhomes were built with the highest grade materials that offer R-30 ceiling insulation and R-13 exterior wall insulation for maximum energy-efficiency. The kitchen is the heart of the home and you'll enjoy preparing meals in the gorgeous kitchen that features deluxe cabinetry, an energy-efficient self-cleaning gas range/oven, over-the-range microwave that's vented outside, a multi-cycle dishwasher, a designer sink & faucet as well as ample countertop space. Moving on to the bathroom and you'll enjoy cultured marble vanity tops, Moen faucets, oversized showers with glass doors and designer mirrors above the vanities. The Crossings at Hamilton Station feature everything you want – from large bedrooms to oversized closets – you'll have the space you want with luxurious designs. Are you ready to make the move to The Crossings at Hamilton Station? If you have been hunting for luxury apartments in New Jersey, your search is over because the apartments at Park Lane will give you everything you've ever wanted plus more. 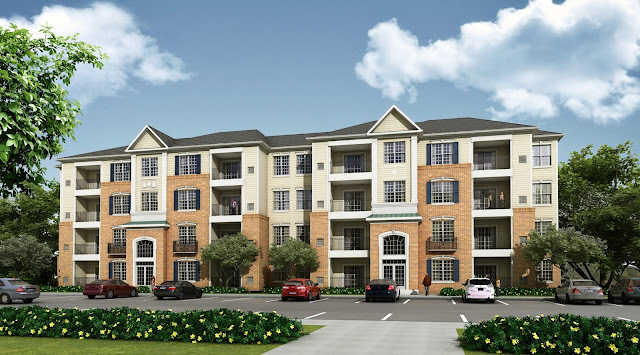 Conveniently located in the heart of Cherry Hill, the luxury apartments at Park Lane provide residents with resort-style amenities, high-end finishes and spacious floorplans that will give you the lifestyle you've always wanted. Combine that with a prime location that's adjacent to one of the largest shopping destinations in South Jersey and easy access to public transportation…you couldn't live in a better place! Read on to learn more about the luxury apartments at Park Lane. The luxury apartments at Park Lane feature high-end finishes like granite countertops, designer fixtures, stainless steel appliances and so much more. In the gourmet kitchen, you'll be pleased to come across the deluxe cabinetry and full sized appliances like a side-by-side refrigerator, a dishwasher and an over-the-stove microwave – leaving you with plenty of counter space to prepare meals. Additionally, the kitchen walls boast an attractive backsplash that complements the countertops. The floorplan is open from the kitchen, so you will have a direct view into the dining area and living space, which provides you with the ultimate set up for entertaining guests. One bedroom floorplans boast an impressive 810 sq. ft. to 1,000 sq. ft.
Two bedroom apartments range from 1,149 sq. ft. to 1,462 sq. ft. Regardless of the floorplan you choose, you'll have access to your very own full-sized washer and dryer. On top of that, the bathrooms feature the same luxurious finishes like high-end fixtures and granite countertops. Additionally, each luxury apartment has an independently controlled energy-efficient HVAC system that'll keep your apartment comfortable all-year-round without high utility bills. Speaking of energy efficiency, the apartments were constructed with energy-efficient windows and high-R valued wall/ceiling insulation to maximize efficiency. Every bedroom features luxurious wall-to-wall carpeting and a large walk-in closet that'll be more than enough space for even the biggest clothing collection. You'll no longer have to dream about living in a luxury apartment in New Jersey because you have the chance to wake up in one every day at Park Lane! Adjacent to your luxury apartment community, you'll be impressed with the number of boutiques, brand name retailers and restaurants that are right next door. Simply take a stroll or jump in the car and you'll immediately find your way to the Market Place and Towne Place shopping plazas that are filled with high-end retailers, grocery stores and much more. Beyond those conveniences, Cherry Hill is the ultimate shopping destination as it features one of the largest malls in the state and has many other retailers, dining options and entertainment venues spread throughout the town. Are you ready to move into the best luxury apartments in New Jersey? Add Park Lane to the top of your home hunting list and contact Edgewood Properties at 732-985-1900 to learn more about this luxurious community.